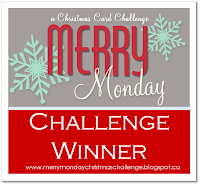 Hi, today I am showing a card that was inspired from the colors at Color Throwdown. 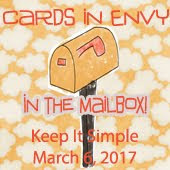 I am trying to use NBUS that I are in my stash and got use two on this card: the flowers in the background and the die cut flower. 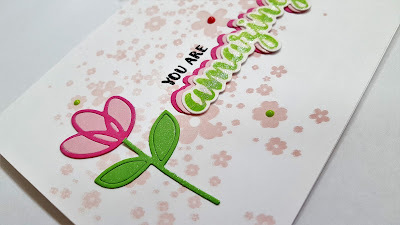 I started by taking the background flower from YNS - Flower ink splatter and stamping it twice along the length of my card in Mama Elephant's blush pigment ink. Then I took the flower die from Paper Smooches - dainty flowers and cut it out of green, light pink and dark pink papers. After cutting off the stems, I inlaid the different colors of the pinks together on some computer paper that I put adhesive on. 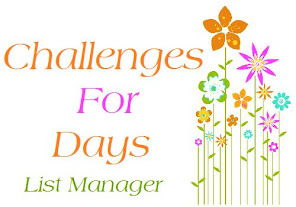 Then I cut around around the flowers, the computer paper helped to keep everything together and make it much easier to put on my card. I took the amazing die from Wplus9's That is all set and cut it out of the two pink colors and white cardstock. 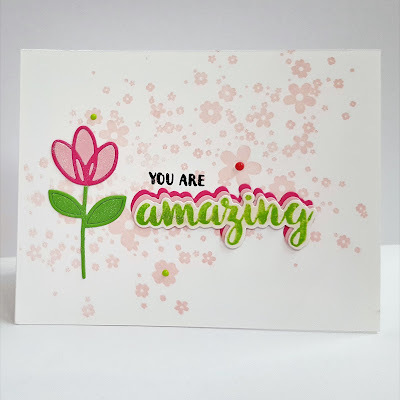 I stamped the word amazing on the white die cut with Hero Arts Green Hills shadow ink. Then layered the dies together on top of one another but sligthly staggered. 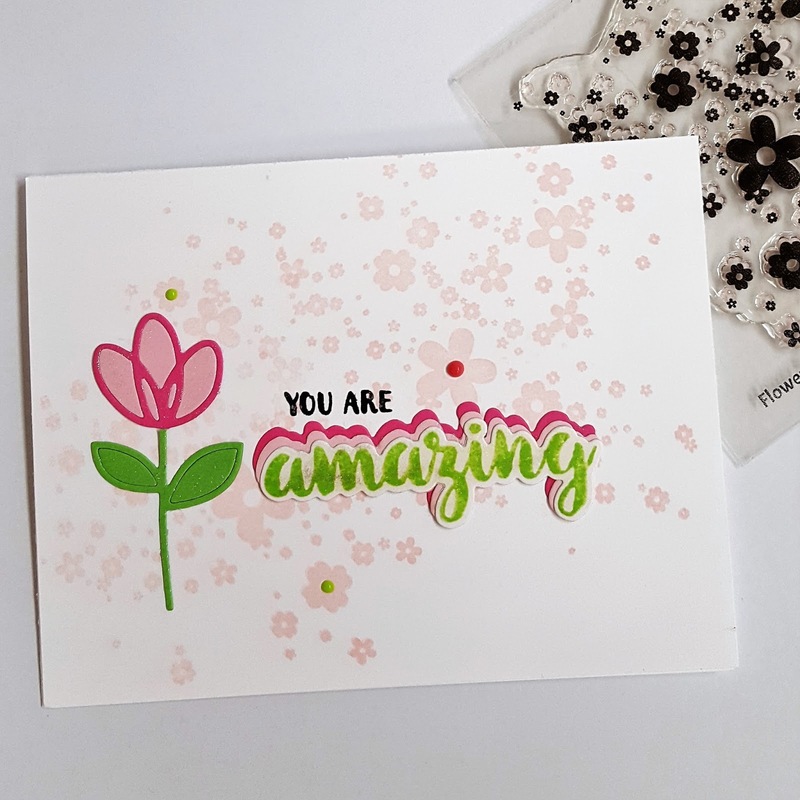 I stamped the 'you are' and embossed it and then added all of the die cuts to the card around it. My last steps were adding a few nuvo drops and adding shimmer to the die cuts with a spectrum noir sparkle pen. 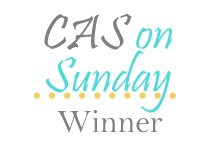 Lovely CAS design and especially like your layered sentiment die! Thanks for joining us at Color Throwdown this week! What a cute card! 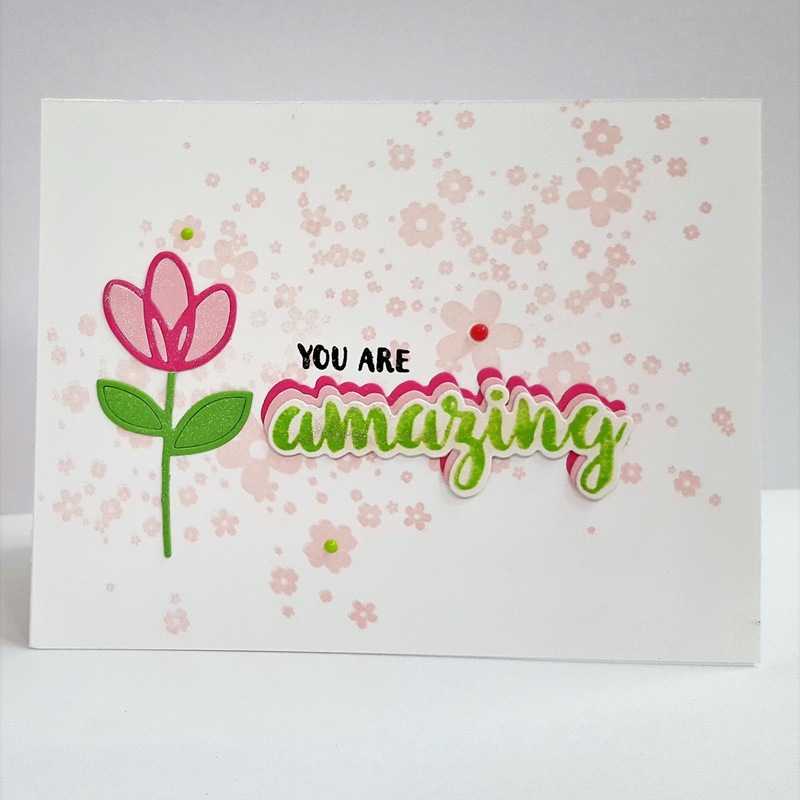 I love the soft pink flowers in the background, they are just the perfect shade to let the dies you used pop from the card! Great job! 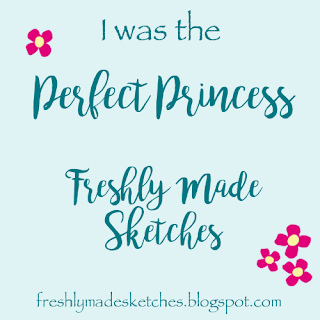 Thanks for joining us at Inkspirational! 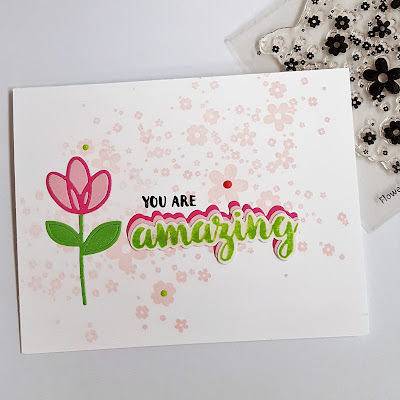 Love that sentiment, sweet flower, and background! So happy you joined us at CTD!